The latest Rasmussen Reports national telephone survey finds that 65% of Likely U.S. Voters do not believe the Mexican government has been aggressive enough in its efforts to stop illegal drug traffickers in Mexico. Just 12% think the Mexicans have been aggressive enough in their anti-drug efforts. Border analyst Sylvia Longmire predicts El Chapo's arrest will spark new violence along the southwest border with Mexico as cartel members battle to fill the Guzman power vacuum. 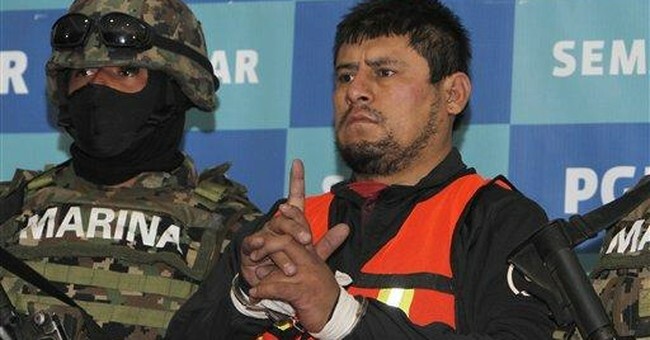 The question now becomes, what happens to the Federation and violence in Mexico with El Chapo gone? The biggest danger when a kingpin is killed or arrested is that there will be a power vacuum. The fighting and bloodletting starts when either members of that cartel or rivals start to compete for the position. Rival cartels see the elimination of a kingpin as a sign of weakness and an opening to move in and seize territory. Los Zetas are the Federation’s biggest rival, and will be watching the transition closely for any opportunity.